If there’s one food craze that’s taken Singapore by storm in the past year — it’s got to be mala! 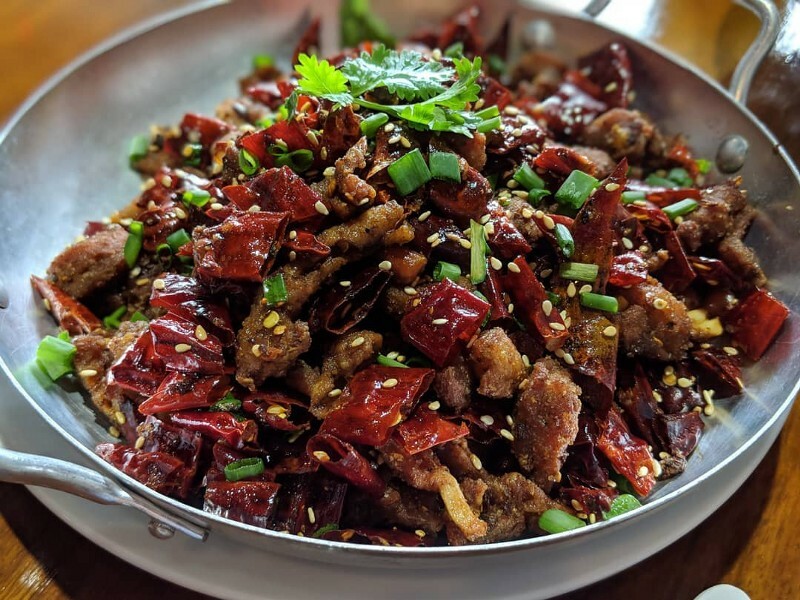 Originating from Sichuan province in China, “mala” literally means “numbing spice” and this fiery sauce made with Sichuan peppercorns has been delighting spice lovers everywhere. There’s just something about that numbing feeling that makes it so alluring. Even fast food joints like KFC (click to watch our review!) and 4Fingers have come up with mala-inspired dishes on their menu! Thankfully, there’s also been a wave of halal eateries for you to get your halal mala fix 😉 So, if you’re a “die-hard” mala fan, then this guide’s for you, so read on! P.S. While you’re here, check out these top 15 eateries in Singapore too. There are over 20 types of ingredients to choose from at Peppercorn — from sirloin beef strips to chicken, fish chunks and other instant soy and meat ingredients. The ingredients are charged according to their categories and how much they weigh, and you can choose from 4 spice levels. What we love about Peppercorn is that their mala hits the spot even though the numbness takes a while to kick in. Not to mention that the broth alone is tasty too. If you’re a novice at mala, you can opt for no spice and ask them for the mala sauce separately. Otherwise, go crazy with their medium or large spice! 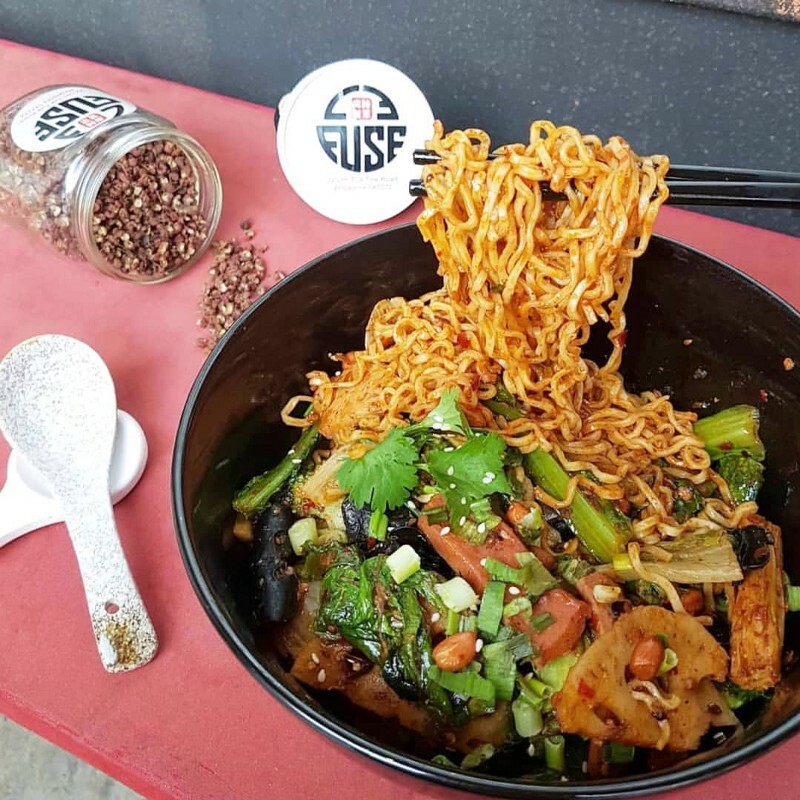 If you’re looking for mala with a variety of other halal Sichuan dishes, then Le Fuse will definitely satisfy your palate. 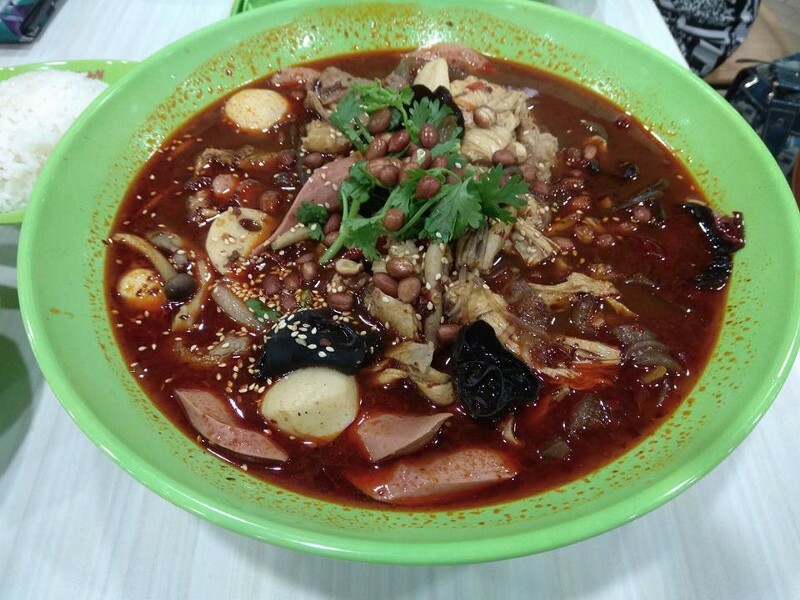 The go-to dish here is their Mala Xiang Guo (spicy dry pot) which consists of typical ingredients like potatoes, luncheon meat, sausages, lotus and black fungus stir-fried in their mala sauce. Unlike other mala eateries, you can’t customise your ingredients at Le Fuse, but the generous portion makes up for it, and you can choose from 3 different spice levels. The regular pot costs $12.80 but if you’re sharing with a bigger group, then get the large one for $15.80 instead! Plus, did you know that Le Fuse also imports its peppercorns directly from China so as to keep the taste authentic? At first glance, you might just mistake this stall for a yong tau fu stall as the set-up is the same. Pick a good mix of your favourite ingredients, let the staff know your preferred spice level — mildly spicy, spicy or extra spicy — and you’re all set! You can also opt for a dry or soup version. For a kick to your taste buds, we recommend choosing spicy or extra spicy but do note that the taste isn’t that numbing. That said, don’t forget to get ready a glass of water before you dig in! The mala gravy is also really rich in flavour and it gets even spicier as you get to the bottom of the bowl. #HHWT Tip: Though the ingredients might add up to a pretty large amount (more than $10), the portions are quite generous and it’s perfect for 2 to share, so no need to order separate portions unless you’re really hungry! 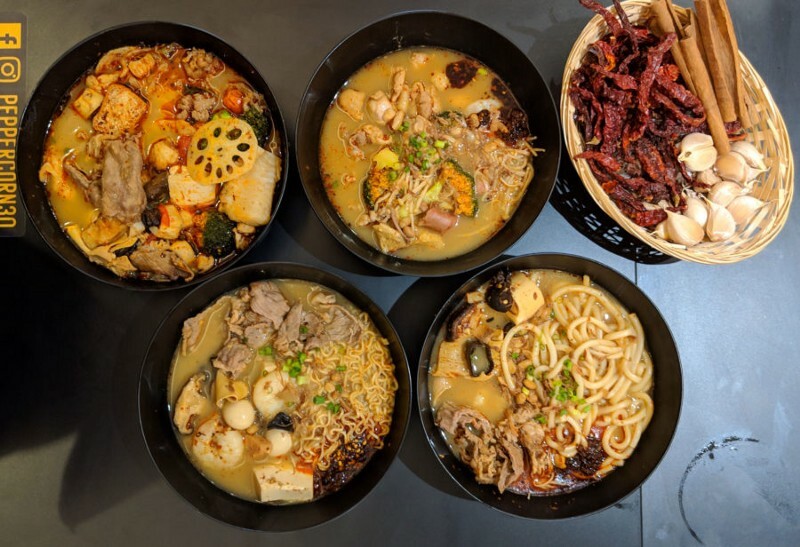 Tucked all the way in the east, Changi City Point’s food court is filled with amazing halal food options and one of them is the Mala Hot Pot stall! The downside is that the items here are pricier than other mala eateries on the list so do take note of the prices before choosing them! To get your money’s worth, we recommend sharing with your friends. P.S. Think all the good halal food is only in Singapore’s east? Think again! We’ve got 14 awesome halal places that’ll prove the west is the best instead! But if you don’t intend on burning your tongue with hot soup, we recommend getting the dry version instead. Although this stall ranks high on the spice list, it doesn’t really have that numbing factor. In terms of price, it isn’t too bad either. 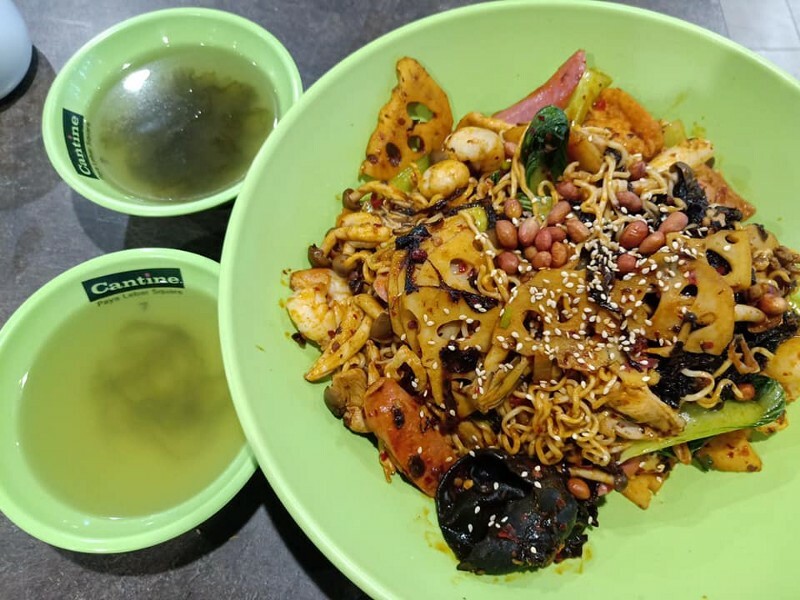 You can spend around $20+ for a big bowl to share among 2–3 people. 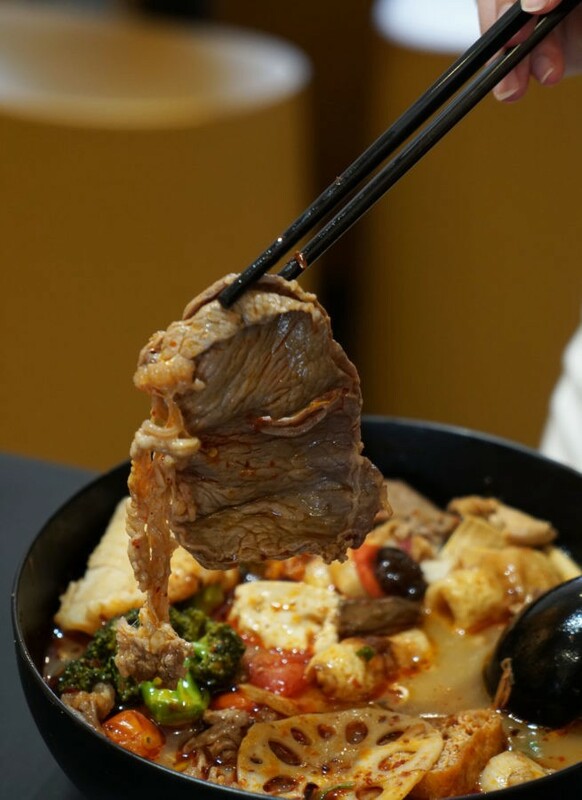 You might have heard of Yi Zun Beef Noodle as the first stall to serve halal Chinese hand-pulled noodles in Singapore. 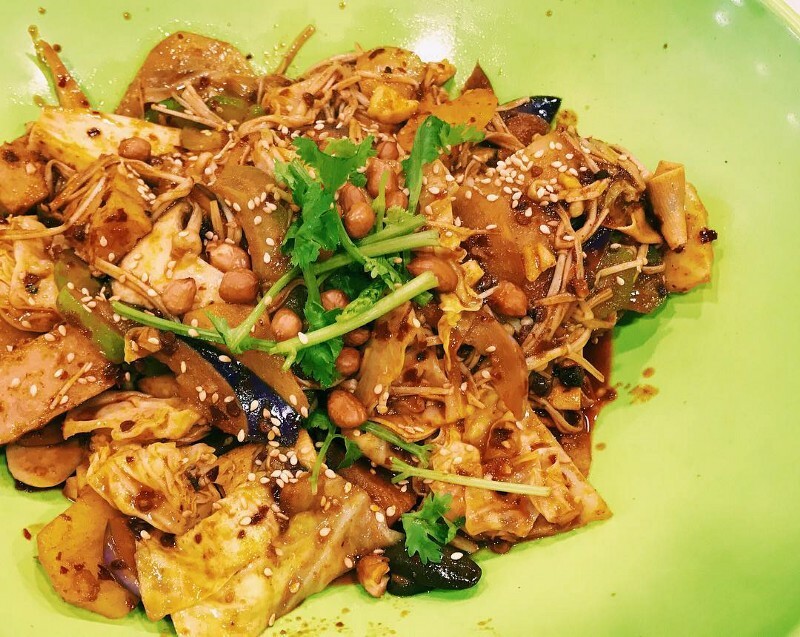 Earlier this year, they opened their second outlet in Joo Chiat and they’ve included Mala Pot into their menu! 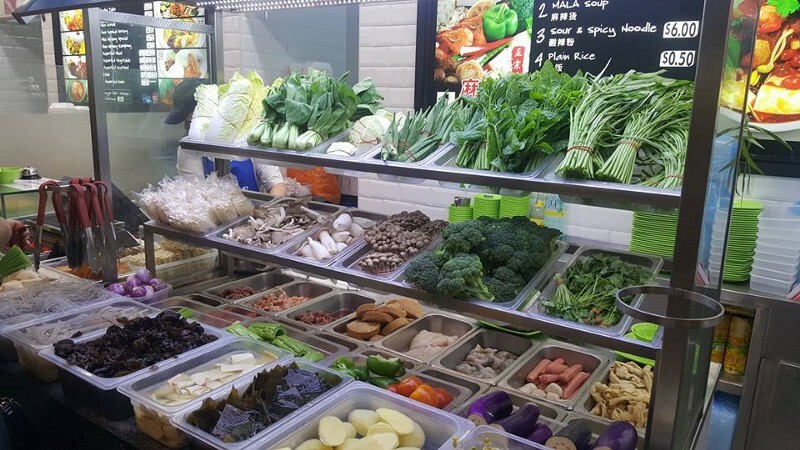 Priced at $14.80, the pot includes various ingredients including prawns, sausages, mushroom, vegetables and tofu. You can’t customise your own pot, so it might be a downside if you’re not a fan of these ingredients. However, you can choose from 4 spice levels – no spice, mild, medium and hot. Mala-infused fried chicken? Yes, please 😍 Our favourite fried chicken joint is always finding new ways to make fried chicken even more appetising than it already is, and their latest Mala Chicken is a hit! P.S. Find out what we thought of KFC’s Mala Chicken in this video. The Sichuan spices are loaded in the crispy chicken skin, making it oh so flavourful. It might not be as spicy as your usual mala dishes but it still packs a punch, and you can taste a slight numbness which makes it suitable for everyone 😋 The promotion will be on till the end of the month, so better get your lips on this fast!